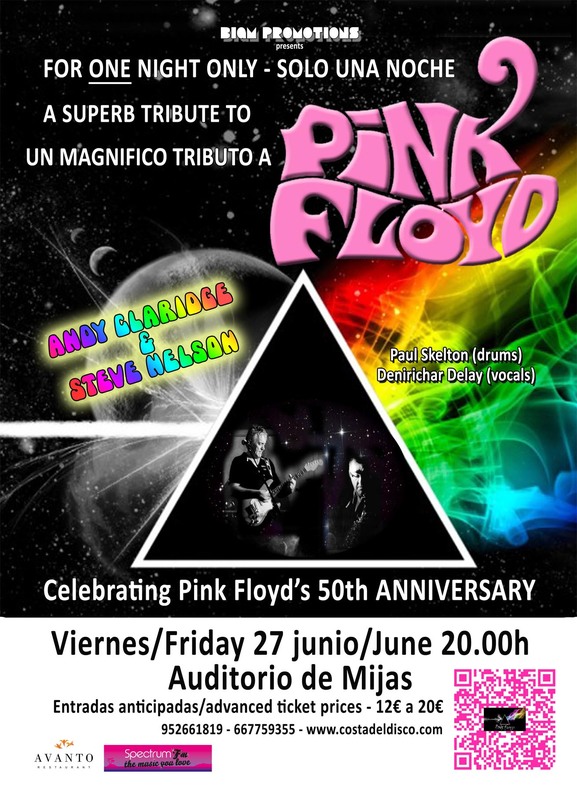 Pink Floyd Tribute Concert | Marbella Marbella – Adelante! “Pink Floyd Tribute Concert” – For one night ONLY in Spain! 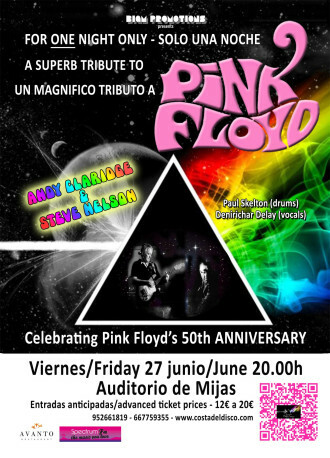 The timeless music of the iconic “PINK FLOYD”, accompanied by a ‘Spectacluar’ lightshow in the charismatic open-air venue that is the Mijas auditorium. 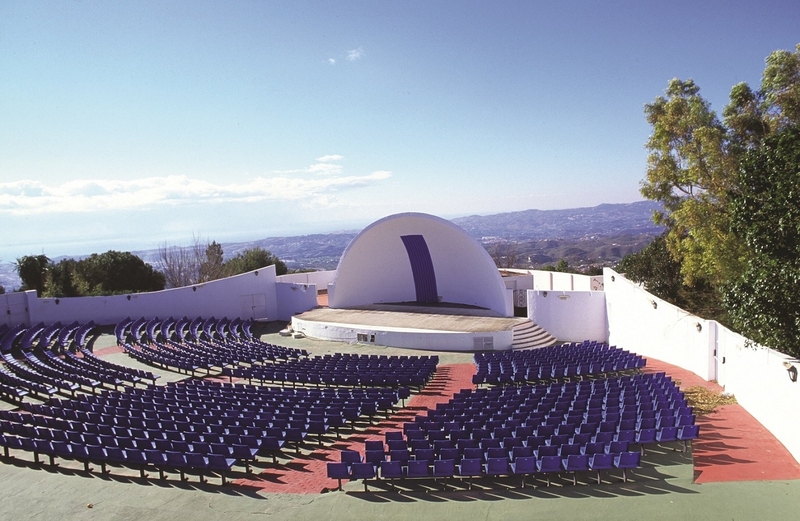 Seating 900 people, this theatre perched on the side of the pueblo, is a perfect venue for this concert celebrating the 50th anniversary of the group formed back in the 1960s. 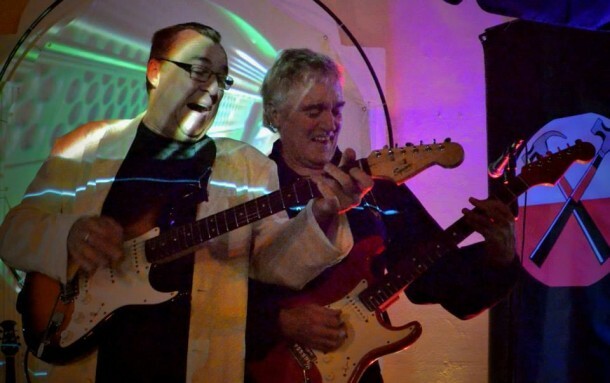 All the best known tracks spanning the years will be played by top musicians featuring Andy Claridge and Steve Nelson in a show that lasts over 2 hours. PREMIUM seats – 20€ advance purchase/25€ on the night – Premium seats are front and centre and include a drink. PINK seats – 12€ advance purchase/15€ on the night – Pink seating is not numbered. 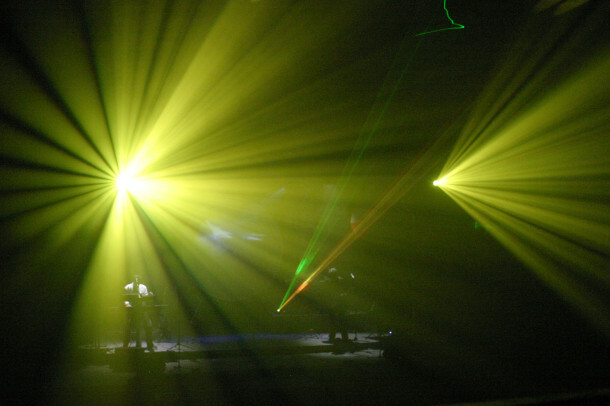 Tickets can be purchased from the webpage http://www.costadeldisco.com/pinkfloydconcert.html using the safe and secure PayPal service, which also allows Credit Card payments. Tickets are also on sale at various points along the costa, call the ticket hotline 952661819 for details. The walk through Mijas pueblo is lovely but if you feel the steep road and stairs leading up to the auditorium is too much for you, we have contracted a minibus service to run between the car park, where the metal donkey statue is, to the auditorium. The service starts at 19.45h and the fare is 1€ per person, payable on the minibus. The service will also run after the concert ends, from the auditorium to the car park from 12.15h, the fare again is 1€ pp. Scan the QR code with your smartphone to get more information.